NEW sweet summer collection - Introducing "Meadow"
Our new "Meadow" collection was inspired by the children's book about the little Swiss girl, Heidi and like the story, the collection is charming and friendly. The pallet we used to design the line is colorful yet subtle...not too bright but still rich. The sticker and die cut accent sheet are themed around family, friendship and enjoying nature...without being too outdoor-sy! We envision you using this for people of all ages - young, in-between, and seasoned. Telling a summer story or story from the past would be beautifully accented with the Meadow collection. We can't wait to see what you create...oh and be sure to join the Everything Authentique Facebook group - the destination to share all of your Authentique Paper projects! 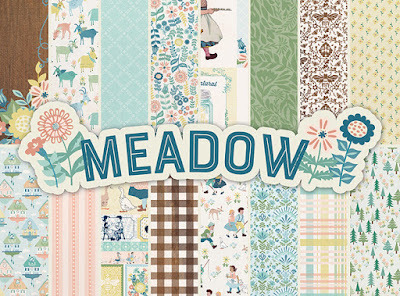 We typically offer eight double-sided pattern papers in our collections...and Meadow follows this same model. The pattern papers are SO gorgeous in-person...you will not be disappointed once you have them in your hands! We also included a double-sided 6x12 "Components" die-cut accent sheet as well as a 12x12 sticker sheet as well! Our die-cuts are double sided so you can use either side (artful design on one side and a pattern on the other) to layer or hang off the side of a card, album or home decor project and still have a finished look! Our sticker sheets are always intense - they are individual works of art! 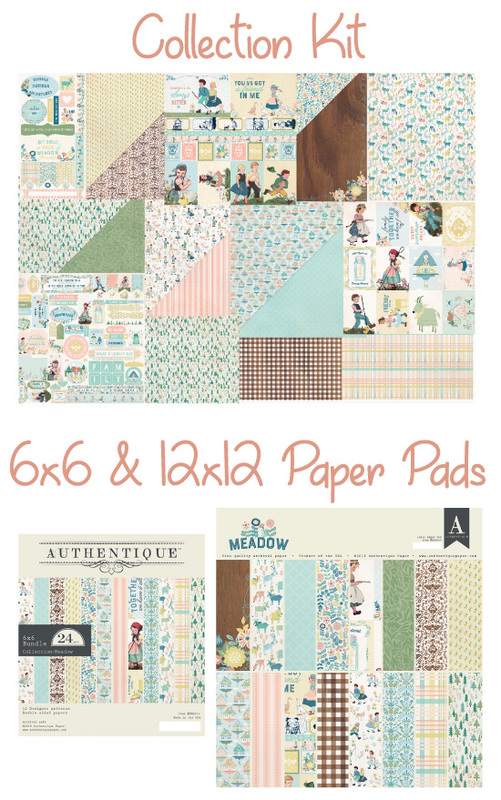 For those of you who prefer the smaller patterns, our 6x6 "Bundle" paper pad is just for you! Reduced-scale designs make these perfect for card making, mini albums or piece them together on a 12x12 layout! Our "Collection Kit" includes 2/ea paper + the die-cut and sticker. The 12x12 Paper Pad includes 3/ea of the 8 pattern papers. Take your pick, they're all a good choice! 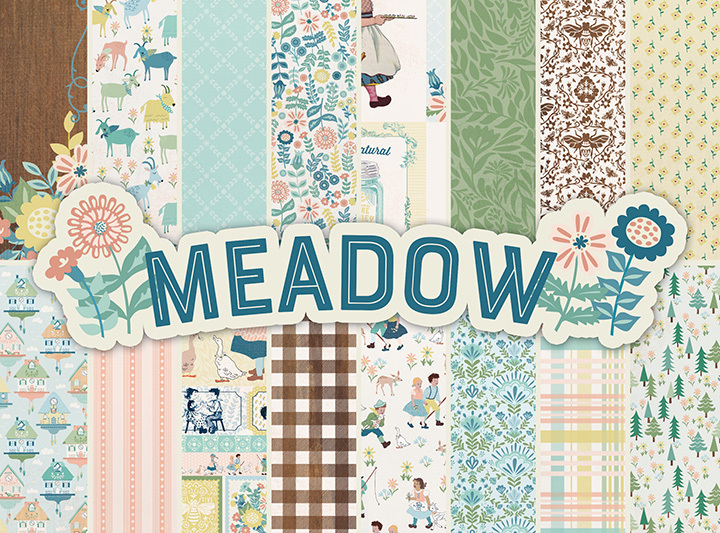 Meadow is available in stores, brick and mortar or online NOW! Be sure to watch our LIVE Facebook Project Share every Tuesday, 6pm MST. Each week we teach you how to make a new project, step-by-step using our paper collections!